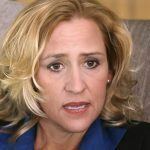 Arkansas Attorney General Leslie Rutledge has rejected yet another casino ballot referendum, this time on grounds that the proposed question features “ambiguous” wording. It’s the second time this year that the state’s chief legal advisor has rejected a gambling motion. 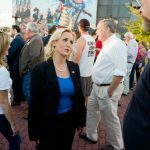 Rutledge said this week that the latest effort cannot be efficiently summarized for voters to comprehend in the little amount of time they spend inside polling booths. The proposal came from a committee named “Arkansas Wins in 2018.” The initiative sought to authorize four casinos in the counties of Benton, Boone, Miller, and Pulaski. Tax revenue generated by the gambling facilities would have been earmarked for highway improvements. Arkansas is one of 11 states without full-fledged commercial or tribal casinos. It does, however, allow slot machines and electric table games at its two parimutuel tracks, Oaklawn Park and Southland Park. 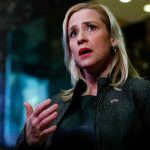 It was only January that Leslie Rutledge rejected another request to ask Arkansans whether they want to authorize casino-style gambling. Though the two casino ballot referendums both sought to generate highway funding, the individuals backing the two groups are reportedly unrelated. Proposed by Driving Arkansas Forward, the previous effort also sought to generate new tax revenue from gambling in order to help fix the state roads. It called for the creation of three casinos. A year earlier, Rutledge rejected Hot Springs resident Barry Emigh’s casino ballot proposal for being “overly long and complicated.” Emigh has recommended dozens of gambling referendums over the years, all unsuccessfully. His latest was titled, “An amendment to the Arkansas Constitution legalizing gambling to the Fairplay Holdings ballot question committee members.” Confused? So was Rutledge. “Your proposal is wholly bereft of specifics. The first problem concerns your reference to Fairplay Holdings,” the attorney general concluded in her denial. Arkansas is one of 26 states that allows residents to propose initiatives and/or referendums recommending laws for consideration. Citizen initiatives and referendums are to create a “direct democracy” where the sole governing power doesn’t rest with the legislative unit. But in Arkansas, the attorney general must first sign off on the proposals and assert that their wording is clear and concise. He or she isn’t to involve their own political opinions into the approval. “The decision to certify or reject a popular name and ballot title is in no way a reflection of my view of the merits of a particular proposal,” Rutledge declared. Should she have approved the latest casino referendum, the Arkansas Wins in 2018 committee would have needed to collect 84.958 valid signatures to place the question on the November ballot.